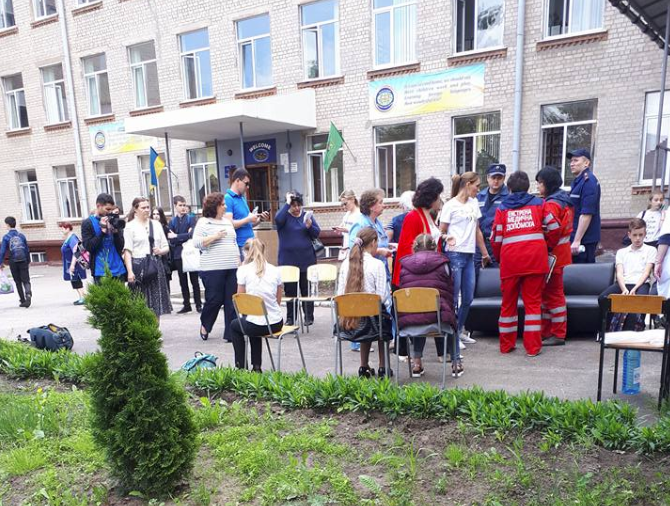 As a result of spraying of an unknown gas, 31 children of Kharkiv school №3 turned to doctors for help, 15 of them were sent to the hospital. Director of the Center for Emergency Medical Care Victor Zabashta said this, reports Interfax-Ukraine. "Six brigades of emergency medical care were sent to the site. The first brigade arrived in 4 minutes, 31 children were examined, 15 of them were sent to the regional children's clinical hospital," he said. According to the Department of Health Protection of Kharkiv Regional State Administration, the state of health of the hospitalized children is moderate. Among the symptoms are weakness and shortness of breath, as well as pale skin. Causes of malaise are yet to be established. “Children are provided with all necessary medicines,” the administration assured. Physicians are on duty at the school and a preventive examination of children is conducted. As it was reported earlier 400 pupils of Mykolaiv city were evacuated from school due to the dispersion of unknown aerosol with the strong stench. 32 children were sent to hospitals for examination. This was reported by the press-centre of the Emergency Service. The chemists with a mobile chemical-radiological laboratory came to the school, as well as the unit of the Emergency Service of Ukraine. It is noted that nothing threatens the lives of children. Specialists have not detected dangerous substances. The school was examined.